With over 10 years experience, we are an innovative team of designers and developers who strive to create robust and inspiring B2B websites and web applications. We leverage our wealth of technical and creative expertise to deliver outstanding B2B web sites and Apps, that instil trust, increase enagagment and drive your brand’s growth. We build bespoke, well-crafted e-commerce sites on top of rock solid technology that deliver a hassle free shopping experience for your customers. Looking to take your website international? From multi-lingual content management systems, domain structure and site architecture, we can ensure you reach your global audience. All of our websites are built with maximum search engine exposure in mind, right from the beginning. You can read more about our B2B SEO services here. Have a lead generation site idea? Need to collect publicly available data? Your business needs an intelligent tracking system built but doesn’t know where to start? We can help. We specialise in developing bespoke web applications to meet your specific business needs. 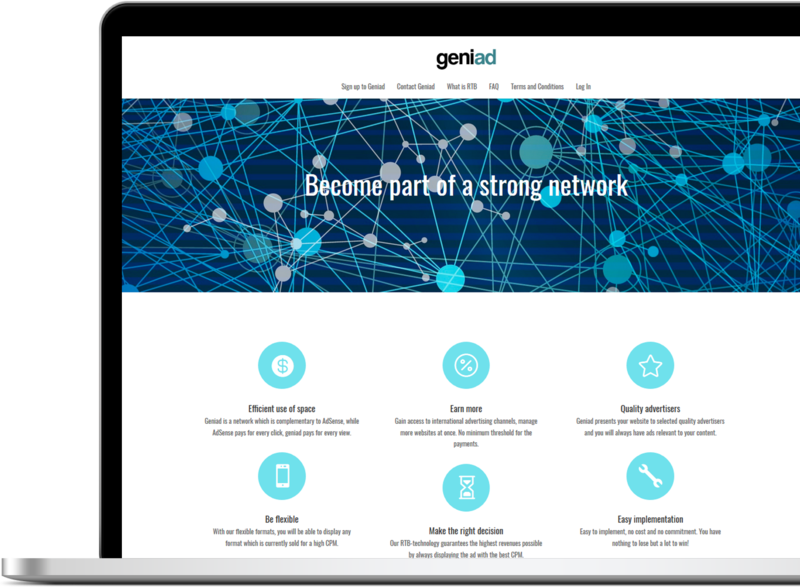 Our custom built, in-house AD network, geniad, is an Ad network complementary to AdSense, serving over 2 billion page views a month across the globe. While AdSense pays for every click, geniad pays for every view. All of our web sites, apps and projects are designed to deliver a unified, fluid user experience across all desktop, tablet and mobile devices to help you reach your customers everywhere and anywhere. We help B2B companies raise visibility, showcase credibility and generate qualified leads. From start-ups breaking new ground, to well-established international companies, we can make a real difference.